Lucasville is a small village laid out by Captain John Lucas in the early 1800’s. Home of the Scioto County Fairgrounds, it has a small population. Only 20 minutes from Lucasville eye exams and glasses are available at The Vision Center. Our experienced optometrist and friendly staff are looking forward to greeting you with a smile and helping you see your best. The optometrist near Lucasville provides all kinds of eyecare including eye exams to patients of all ages, and specializes in medical eye care. 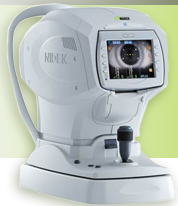 Utilizing the latest in eye care technology, we feature early detection of eye diseases including glaucoma. Vision loss is often preventable with treatment if the eye disease is caught early. With over 30 years of experience under his belt, you can entrust your eye health and vision to our eye doctor. 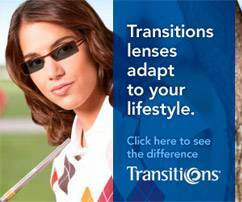 The Vision Center has an onsite optical near Lucasville with an excellent reputation. Not only do we customize your prescription glasses with precision and care, but we get it done for you that day or the next day, because your vision is important to us. Our frame selection is second to none, with a range of high quality designer frames and budget glasses; we even provide lenses for Google Glass. Pediatric eye exams, eye care and eyewear are available at The Vision Center too. For your convenience we are open 6 days a week, so you don’t have to miss work or school to get your eyes checked. Looking forward to taking care of all your eye care needs for you and your family near Lucasville, OH. Need directions from Lucasville OH to the eye doctor? Book your next eye doctors appointment with us, and find out why we’re worth the drive. Once you’re coming out to our eye doctor’s office, why not bring the whole family? We can book back to back eye exam appointments, and you can browse the waiting room’s large selection of eyewear.